Some rich millennials are buying vacation homes instead of primary homes because it's too expensive to buy in the cities where they live. 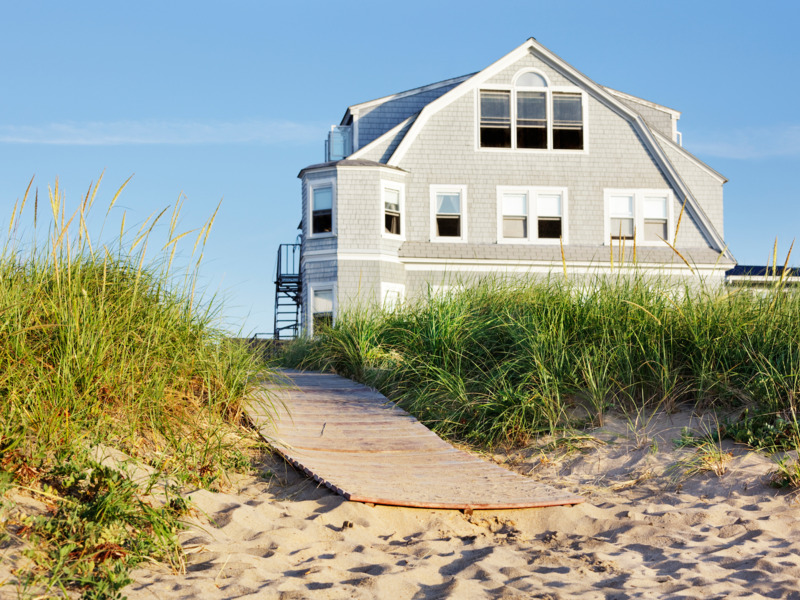 There are three main reasons why people consider buying a vacation home, according to financial expert Jean Chatzky: They frequent a certain area, they're planning to retire, or they want rental income. But second homes are different than primary homes and come with a lot of caveats - here's what you should know before you buy. That's certainly not the only reason why people are buying vacation homes, and millennials aren't the only ones to favor them. But buying a second home isn't a decision to be taken lightly. "It's important to understand that second homes are different," Jean Chatzky, financial editor of NBC's "Today" Show, wrote in "Women with Money," her latest of 11 books. "And not just because you can no longer deduct mortgage interest." There are three reasons why one might be considering a vacation home, according to Chatzky. Here's what you should consider before making the leap. 1. You want your own space in a place you visit often - but how often do you really visit? But even if you'll only use a vacation home part-time like Chatzky does, a house is still a house. Bills - including mortgage, HOA dues, utilities, cable, etc. - are still year-round responsibilities, Chatzky said. If you live far from your second home, you'll also need to pay someone to check in on the house, she added. Some vacation homeowners also feel guilty if they want to vacation elsewhere - it can be hard to justify paying for a trip when you already have a place to visit, Chatzky said. 2. You're thinking about retiring in your vacation home - but will it fit your retirement lifestyle? "Buying a retirement place before you retire has financial benefits," Chatzky wrote. It's easier to qualify for a mortgage while employed, and you'll get a head start on paying it off; you'll have time to settle into your place and make any necessary renovations; and you'll be able to determine the cost of living in the area, she said. "Road testing a second house you plan to use for these purposes is even more important than road testing a house you plan to vacation in," she wrote, adding that the road test should be longer than a few weeks or days. "If it still feels like a vacation, you haven't stayed long enough." 3. You want to make extra money - but have you considered tax laws? The advantages of having an extra cash flow through rental income is often what appeals to millennials buying a second home instead of a primary residence. They're using these homes to build wealth and rent them out when they're not living in them, Powell reported. "With the rise of sites like Airbnb, HomeAway, and VRBO, making some extra cash by renting out your vacation place has never been easier," Chatzky wrote. "But that doesn't mean it's easy." For one, there are tax laws. If you rent your house for 14 days or less, you don't have to report the rental income on your tax return; if you rent it for longer than two weeks, the IRS deems it "a business for tax purposes," - but how the IRS treats it as a business varies, depending on how, you, the owner, uses it, Chatzky said. "Keeping the place rented means scouring the market to stay on top of competitive pricing, making sure it's clean and in order before the next renters move in, being responsive to email queries, and dealing with problems as they arise," Chatzky wrote. "In effect, you either devote a big chunk of your time to managing this property or hire someone to do it for you."